The central monitoring station – the heart of many security systems. At the heart, albeit remote, of many home and commercial security systems is the central monitoring station. Banks of computer screens are watched day and night by human operators looking for break-ins, loiterers and other suspicious events. While they provide a valuable service there are problems associated with the use of human operators – there are only so many screens one operator can monitor, and the human brain is wired to start ignoring stimuli of the same kind over time. In other words, the more events and alerts there are and the longer an operator has been watching, the less likely it is that an important event will be noticed. And because most CCTV surveillance cameras in home or commercial use are just dumb cameras, they can transmit a lot of alerts requiring human intervention or verification. Not only is this a problem for home and business owners, it also limits the number of customers that a central station can effectively monitor. Traditional CCTV surveillance systems that just stream video or use PIR (Passive Infrared) motion detection, are extremely prone to false alarms, requiring either video verification or a loss of accuracy and business. 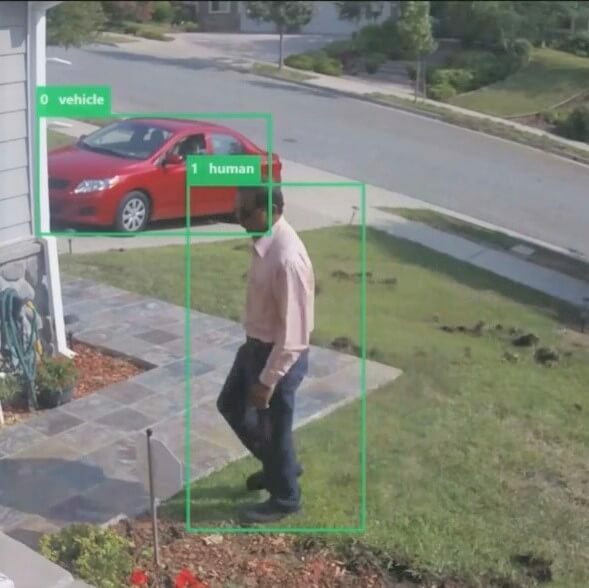 The way to decrease false alarms, improve event detection accuracy and thereby allow a monitoring station business to grow its customer base, is to use AI in the form of video analytics. 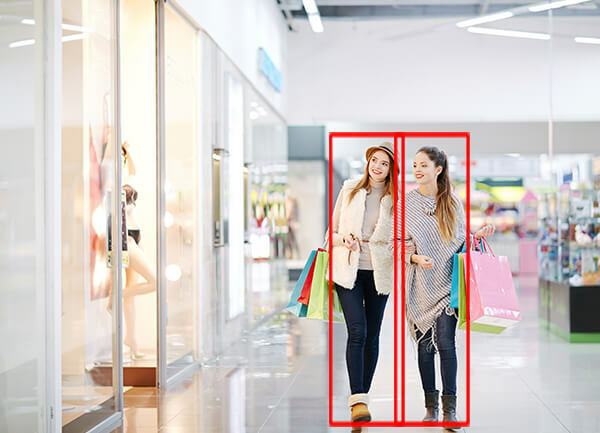 Video analytics can analyze a stream of video, frame by frame, in real-time, and provide alerts only when real events occur, detecting the presence of humans or vehicles where they shouldn’t be at that hour. Or detecting when a person spends time in a restricted area – loitering – or a vehicle is detected at a business after hours, when no-one should be there. But the real benefit of AI-based video analytics is not what they detect, but what they ignore. An animal crosses the camera at night; it’s fall and leaves are coming off the trees; snow is falling; headlights are detected from the highway a few hundred yards away. Video analytics discards all of these potential alerts only sending the ones that actually matter. How do AI-based video analytics work? In the past, in the early years of video analytics, programmers would create reams and reams of algorithms to determine what was a valid motion in a video frame and what wasn’t. Video frames were analyzed by these algorithms and the only way they could be improved was by the programmer writing more or better algorithms. The accuracy of the solution depended on the skill of the programmer. But a few short years ago, the mathematical concept of the neural network was born, closely mimicking the workings of the human brain in how it learns. One of the applications of the neural network is in machine learning. The computer can teach itself what is a human shape by scanning thousands of shapes of humans in different poses, at different angles, and in different lighting. Neural networks and machine learning – this is what we mean by artificial intelligence or AI in the realm of video analytics. The analytics get better and more accurate the more data is passed through them. Note that this doesn’t happen with live, real-time data, but at the development stage. It takes a lot of processing power and usually high-powered graphical acceleration (GPUs) to process all that video data. The result is a compact analytics engine that can run on a regular server, or even inside the camera itself. So stop relying on human operators to determine when an alert is real or not and make a move to AI-powered video analytics. AI – one time when artificial is actually better than the real thing.